MUSTCHECK; AgendaOfEvil, Brand new website on air now . 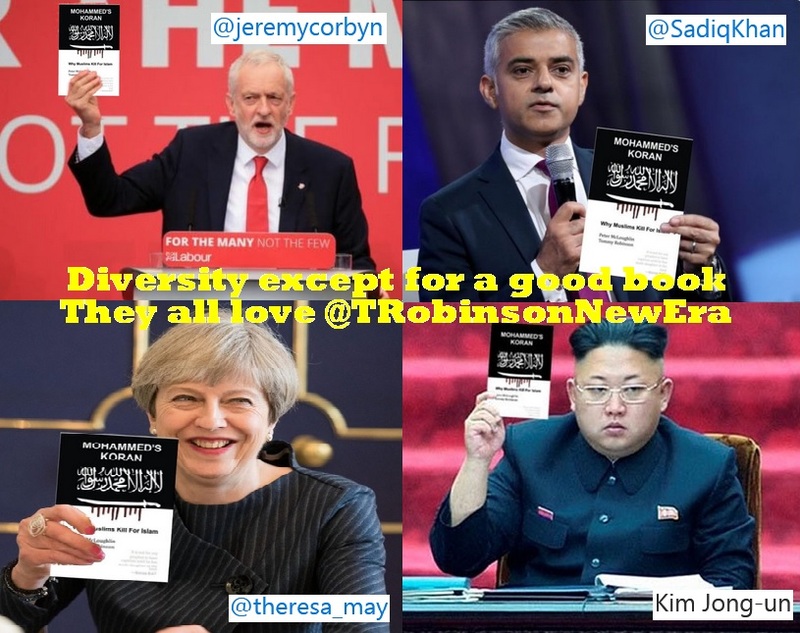 . . – Zeepertje.com – Facts Fun & News on ISLAM, "The religion of peace"
MUSTCHECK; AgendaOfEvil, Brand new website on air now . 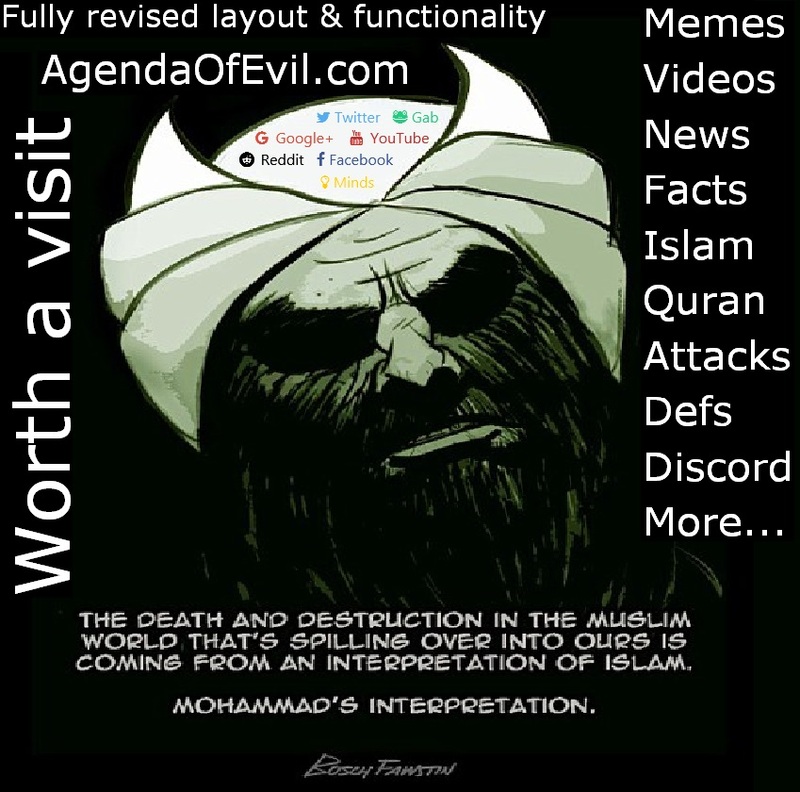 . .
A lot of users might know “AgendaOfEvil” for being active on multiple platforms as can be seen in Mohammed’s head above. The new website is really nice to find things in a real easy way. Excellent topics stored in a logical way within a good menu structure. As with most websites, it’s a dynamic piece of art on which there will be new topics and content added continuously. If you want to look up a particular vers from the quran? It’s there in a variety of translations. Looking for some good memes or videos? It’s there. And so many many more interesting things. 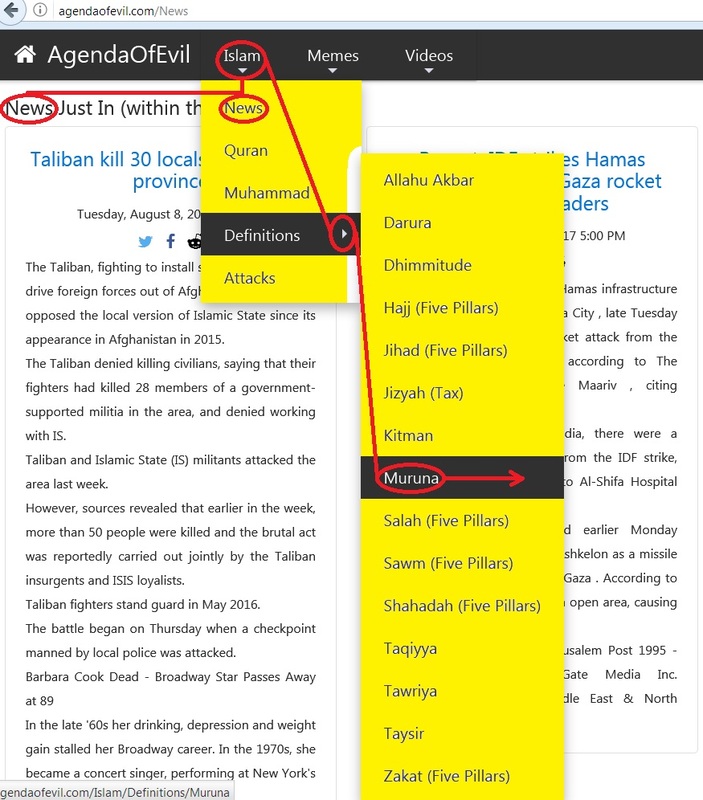 And of course most recent news can be displayed through a selection on the menu. Some menu structures as an example displayed and emphasized yellow. But it’s not just flat pics, a lot of work still going on concerning some intelligence in regard to use the content directly in your tweets. Hundreds of sources are used to gather information on islam. All in all it’s surely worth paying a visit from time to time and keep up with developments. On a communication level Discord is used so you can forget about skype and so, not needed anymore. 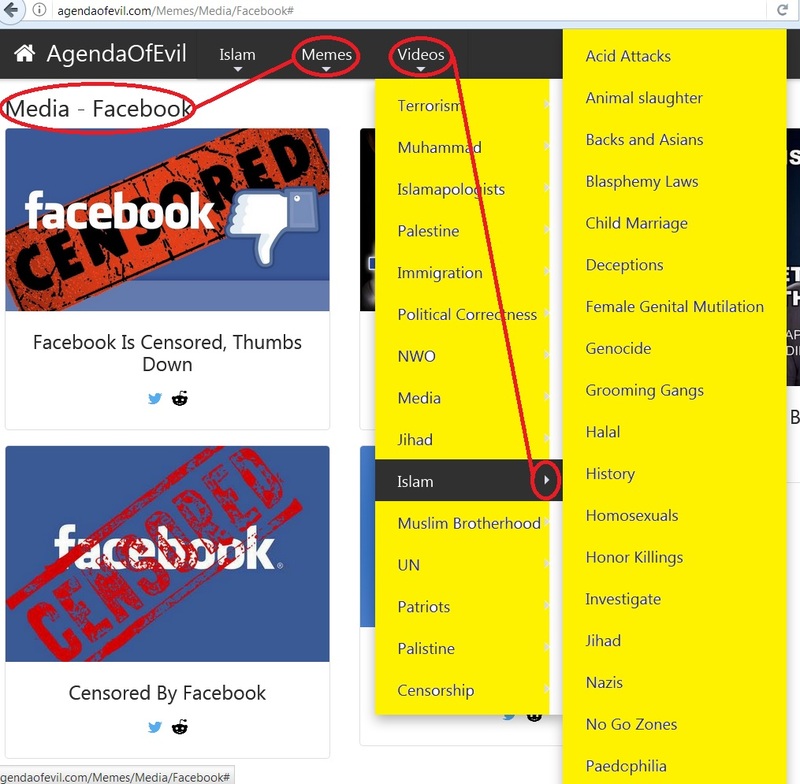 Also the current issue of free speech, (social) media and censorship are topics at AgendaOfEvil because AgendaOfEvil ran into problems a number of times and from my own experience I can tell you that it’s fascism by fb, youtube, twitter, Google+ and so on. 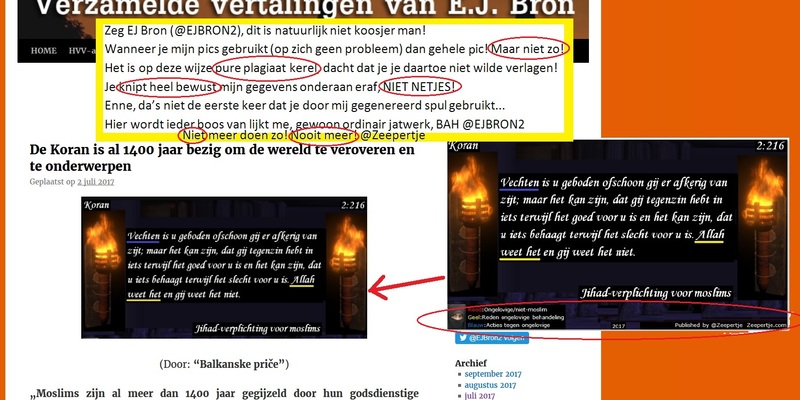 Same as me, Zeepertje, AgendaOfEvil uses various censor free platforms as GAB.AI, Minds.com for posting, and for storage of content there’s vid.me and BitChute. To avoid Google for browsing there’s DuckDuckGo amongst many browsers for more or less private surfing. And of course there’s the AgendaOfEvil youtube channel and Reddit. New website update is being implemented as a result some things may be turned off and not functional until it is fully rolled out. ps. We welcome some funding if you can miss it. For Zeepertje.com send me an email (to be found in topmenu/colofon) and you can use that as well for a paypal transaction. 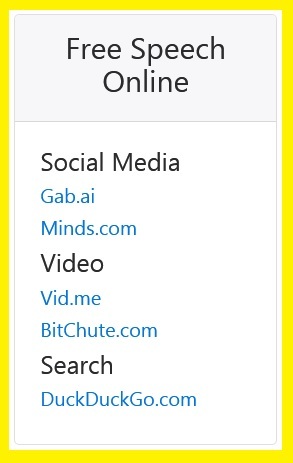 For AgendaOfEvil.com you will find funding buttons on their website.